NEVADA REAL ESTATE PRINCIPLES & PRACTICES includes everything you need to prepare for your Nevada real estate salesperson license. 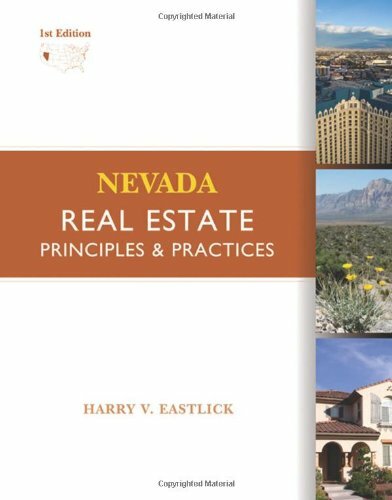 This new "all-in-one" real estate book covers the fundamentals of real estate such as contracts, property ownership and finance, as well as state laws, rules and regulations governing the real estate industry in Nevada. Built on a proven class-tested model, the book combines solid industry fundamentals with the latest state-specific information students need to pass the Nevada licensing exam.